In this Artifact Art piece, a rooster announces the morning. 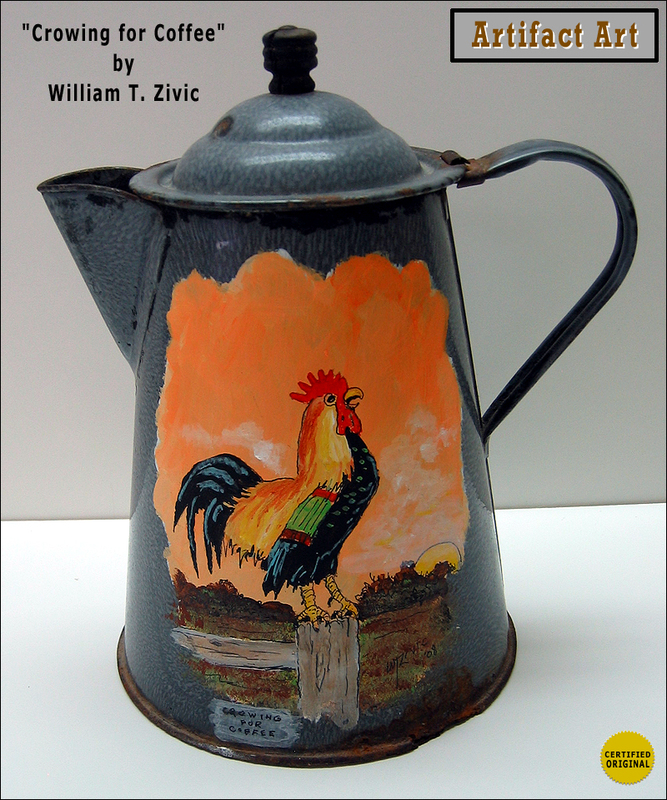 This item is painted on a rusty old metal coffee pot with a porcelain-enamel finish. Nice decoration for a kitchen. This pot could tell a lot of stories.